Gaming laptops truly are something. They are (relatively) light, portable, and pack a desktop’s worth of graphics processing power in a compact, easy to handle frame. But unfortunately, this very compactness is also their greatest weakness. Even regular laptops can generate and trap copious amounts of heat. Put a powerful GPU inside it, and the situation gets much, much worse. After all, there is only so much that hardware manufacturers can physically do to keep such a cramped space cool. So, how do you keep your laptop cool while gaming? Luckily, there are a number of things you can do to ensure that the cooling system they put in place is functioning properly, and you can even give it an extra nudge as well! Preferably, a laptop should be placed on a flat, solid surface when in use – especially when it’s under heavy load. When placed on a soft surface such as a bed or your lap, some or all of the fan intake grilles on the underside will be obstructed, thus blocking airflow and preventing the cooling system from functioning properly. Conversely, when placed on a hard surface, a laptop’s rubber feet elevate it slightly so as to allow the fans to pull in a sufficient amount of cool air. Seeing as air is constantly circulating through a laptop, an eventual dust build-up is inevitable. There is no way to prevent this and the best you can do is clean your laptop regularly, preferably every three to six months. Buy a can of compressed air. This is the only tool that you’ll need to clean your laptop without opening it. Make sure that the laptop is not powered and entirely cooled off before starting. Hold the laptop on its side so as to expose the intake fan grilles on the bottom. Bring the can close to the grille and spray. IMPORTANT: Always make sure that the can is in an upright position, lest the liquid air might escape and damage the hardware. 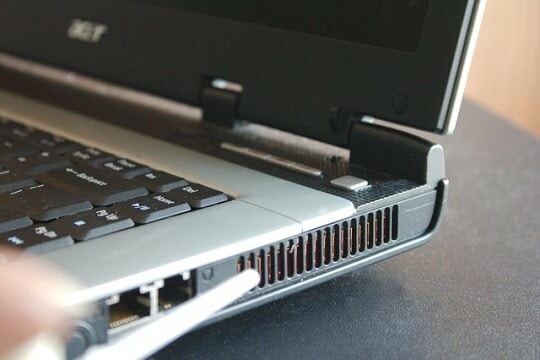 Move and tilt the laptop around to clean out the intake thoroughly from every angle. Continue doing this until you can no longer notice any dust coming out. Repeat the above for each separate grille. Apart from merely taking measures to ensure that your laptop’s own internal cooling system is working properly, did you know that you can also get a laptop cooler, or cooling pad, as they’re sometimes referred to? This is a rather simple and relatively inexpensive accessory that can greatly help with any overheating issues you might be facing. As a matter of fact, it is almost indispensable in the case of gaming laptops. The way that cooling pads functions is simple: you place them on a surface, then place your laptop on top of them, plug them into one of the laptop’s USB ports, and let the fan(s) do their work. 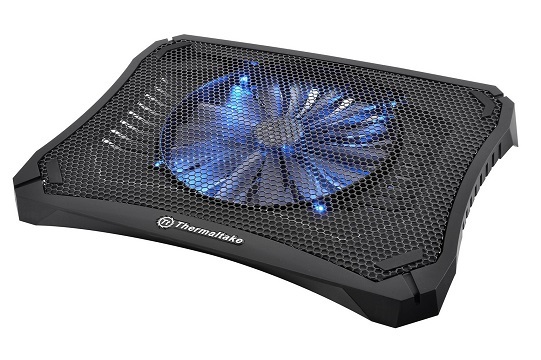 Ultimately, you will see significantly lower temperatures during long gaming sessions thanks to the increased airflow. 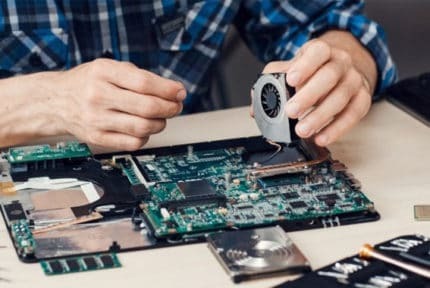 If you’ve done all of the above yet your laptop keeps overheating, then there is likely an underlying hardware or software issue that needs to be addressed. True, a dedicated GPU inevitably generates a fair amount of heat, but if we’re talking about a low-end GPU that is being pushed hard by modern games, then the temperatures might get out of control. The same goes for CPUs with integrated graphics chips (nearly every Intel CPU) or one of AMD’s A-series APUs. So, if you’re seeing noticeable performance drops that accompany the heat increase, then that means your graphics processor is reaching critical temperatures. In turn, this means that you need to improve the cooling through either cleaning it or getting a cooling pad, preferably both. Lower the in-game settings. Obviously, this will make the GPU work less hard and, of course, generate less heat. It is best to start with GPU-heavy features such as ambient occlusion or anti-aliasing, although lowering the display resolution is a surefire way to help a dated or underpowered GPU keep up with the times. Get an external GPU. These are an excellent way to get desktop-level graphics in a laptop, all the while greatly reducing its internal heat generation. Most modern laptops (especially the ones designed for gaming) have multiple internal fans that help keep the multiple components cool. If only one of those fans were to malfunction, the laptop’s cooling system would be inhibited significantly. Rattling – A faulty fan is likely to produce various rattling, grinding, or heaving noises long before it breaks down completely. If your fan is making any noise that isn’t the usual steady humming of a spinning fan, there is a chance that it is not operating at peak capacity. Silence – Obviously, no fan will be sitting idle while a computer is overheating. 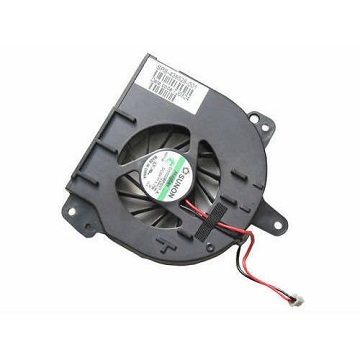 If you notice that a fan is generating no noise whatsoever while the laptop is under heavy load, then it is almost definitely broken and should be replaced. Now, tinkering with a laptop is not as easy as it is with a desktop PC. It is best to have your laptop repaired by an authorized professional rather than attempting to do anything yourself. As a matter of fact, never open your laptop if it is still covered by a warranty, since doing so will definitely void the said warranty. And there you have it, all the important things to keep in mind if you want to keep your laptop properly cooled while gaming! If you have any questions, feel free to drop your comments below and we will do our best to answer as quickly as possible. 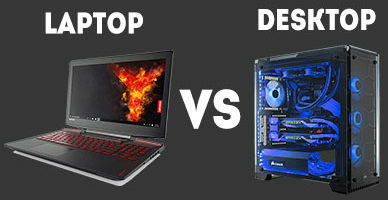 Gaming Laptop vs Desktop - Which Should I Choose?